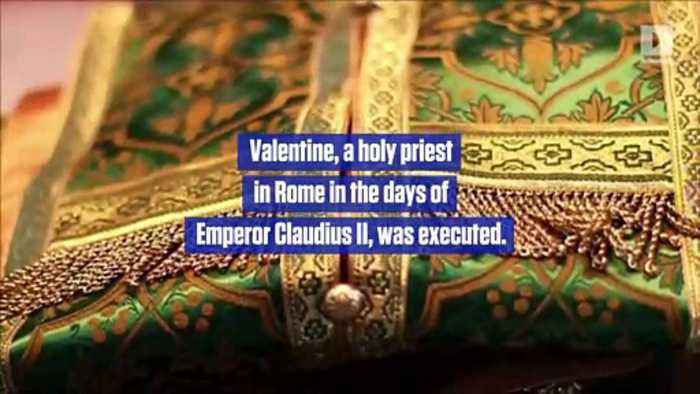 This Day in History: St.
Valentine Is Executed February 14, 278 Valentine, a holy priest in Rome in the days of Emperor Claudius II, was executed. Believing that Roman men were unwilling to join the army because of attachment to their wives, Claudius banned all marriages and engagements in Rome. Realizing the injustice of the decree, Valentine defied Claudius and continued to perform marriages for young lovers in secret. When Valentine’s actions were discovered, Claudius ordered his execution. Legend has it that while in jail, St.
Valentine left a farewell note for the jailer’s daughter, signing it, “From Your Valentine.” Gradually, February 14 became a date for exchanging love messages, poems and simple gifts such as flowers.